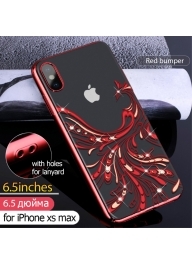 BASEUS Shining Series Plated TPU Ca..
BASEUS Shining Series Plated TPU Case for iPhone XS Max 6.5 inch - Black Baseus shining c..
Bi-color Shock-proof TPU Mobile Pho..
Bi-color Shock-proof TPU Mobile Phone Case for iPhone XS Max 6.5 inch - Red Fl..
BASEUS Shining Series Plated TPU Ce..
BASEUS Shining Series Plated TPU Cell Phone Case for iPhone XS Max 6.5 inch - Red Baseus .. Carbon Fiber Texture Brushed TPU Mo.. 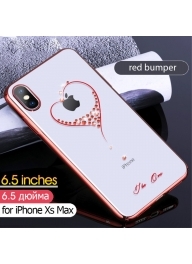 Carbon Fiber Texture Brushed TPU Mobile Phone Shell for iPhone XS Max 6.5 inch - Red ..
BASEUS Shining Series Plated TPU Co..
BASEUS Shining Series Plated TPU Cover for iPhone XS Max 6.5 inch - Silver Baseus shining.. Crystal Clear TPU Protection Mobile.. 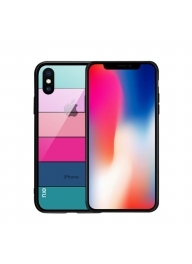 Crystal Clear TPU Protection Mobile Cover Shell for iPhone XS Max 6.5 inch Sof..
Dual-color Shock-proof TPU Protection Case Cover for iPhone XS Max 6.5 inch - Blue ..
DUX DUCIS Pocard Series for iPhone ..
DUX DUCIS Pocard Series for iPhone XS Max 6.5 inch PU Leather Coated PC TPU Combo Phone Accessory..
NXE Pattern Printing Stripes 9H Glass Back + TPU Edge Combo Shell for iPhone XS Max 6.5 inch - St..
NXE Pattern Printing Stripes 9H Glass Back + TPU Edge Hybrid Case for iPhone XS Max 6.5 inch - St..
ROCK Ultra Thin Air Cushion Drop-pr..
ROCK Ultra Thin Air Cushion Drop-proof TPU Mobile Phone Cover for iPhone XS Max 6.5 inch ..
Seamless Dots Gel TPU Mobile Shell ..
Seamless Dots Gel TPU Mobile Shell for iPhone Xs Max 6.5-inch - Blue / Transparent ..
Seamless Dots Gel TPU Protective Ca..
Seamless Dots Gel TPU Protective Case for iPhone Xs Max 6.5-inch - Pink Flexib..
Touchable TPU Front + PC Back 2-in-..
Touchable TPU Front + PC Back 2-in-1 Full Protection Cover for iPhone XS Max 6.5 inch - Grey ..